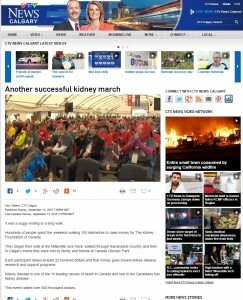 Thank you for your interest in Kidney March. 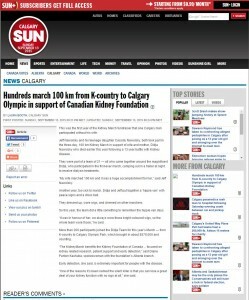 Three hundred marchers and crew are wrapping up their 100 km, three day walk from Millarville through K-Country to Calgary arriving today at Canada Olympic Park (COP). 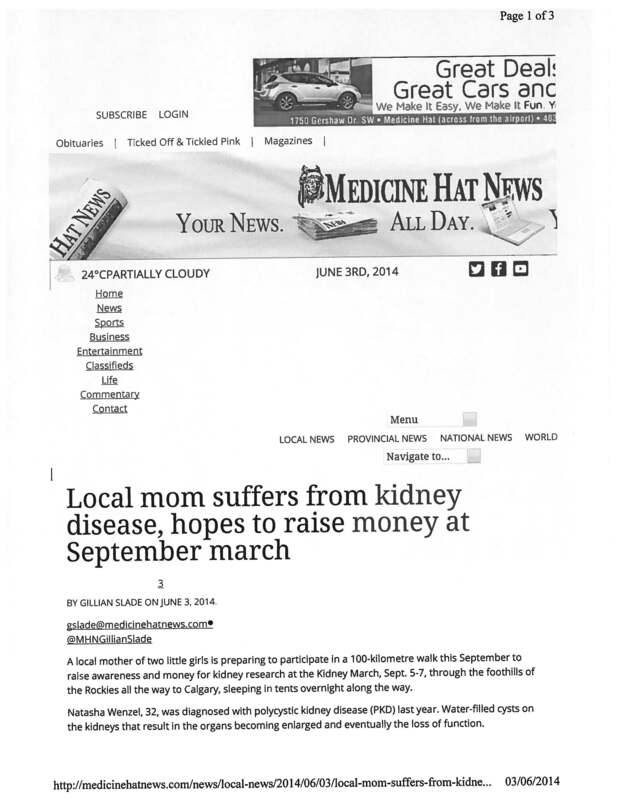 Click here to read full news release. 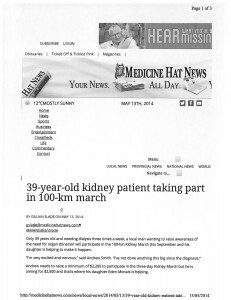 300 doctors, nurses, kidney patients, family and friends are hitting the road for three days and 100k’s starting this Friday, September 9 for Kidney March 2016. 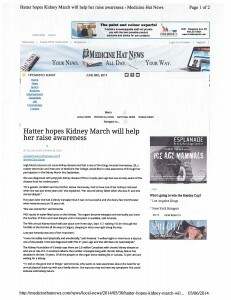 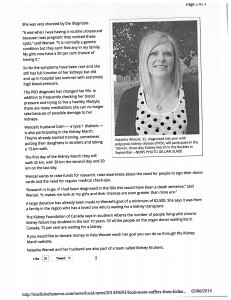 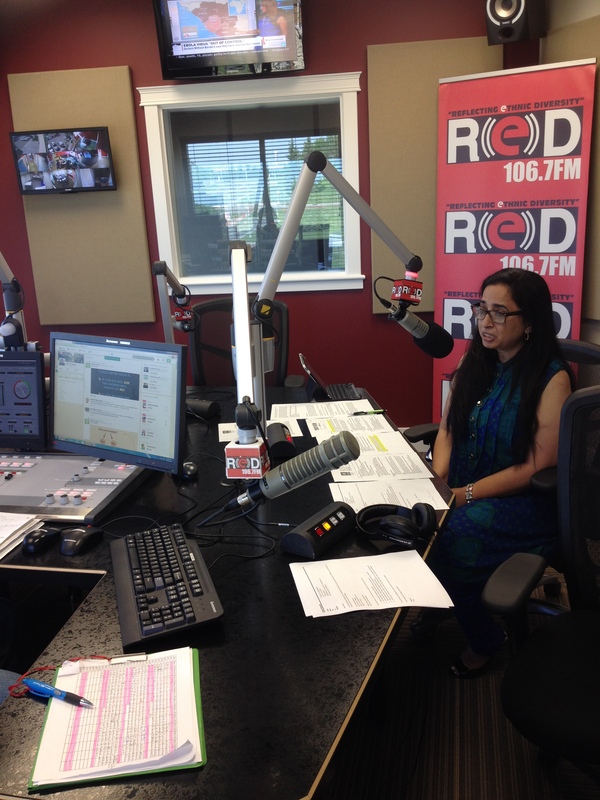 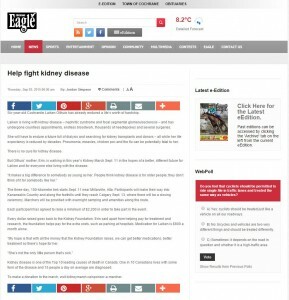 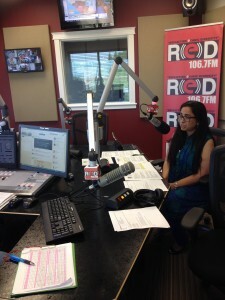 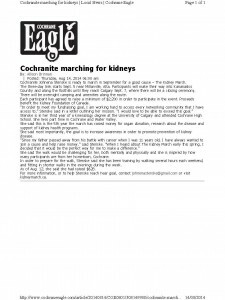 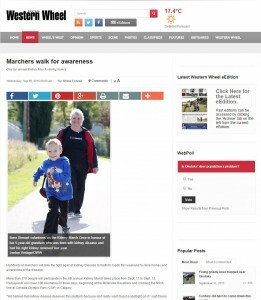 Click here to read Kidney March starts this Friday. 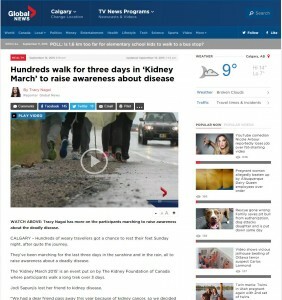 Kidney March is an incredible, life changing 3 day, 100 km walk in the fight against kidney disease happening in Calgary this weekend. For the full release, read Kidney March Event Announcement September11. 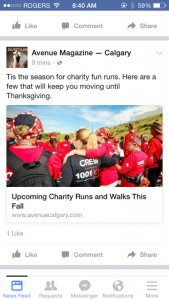 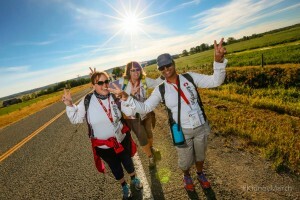 It’s 100 days ‘til Calgary walks 100ks. 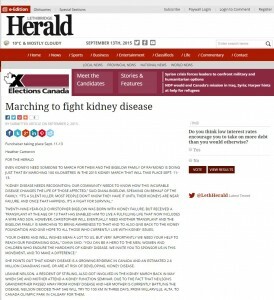 Registration is open for Kidney March, an incredible, life changing 3 day, 100 km walk happening September, 2015. 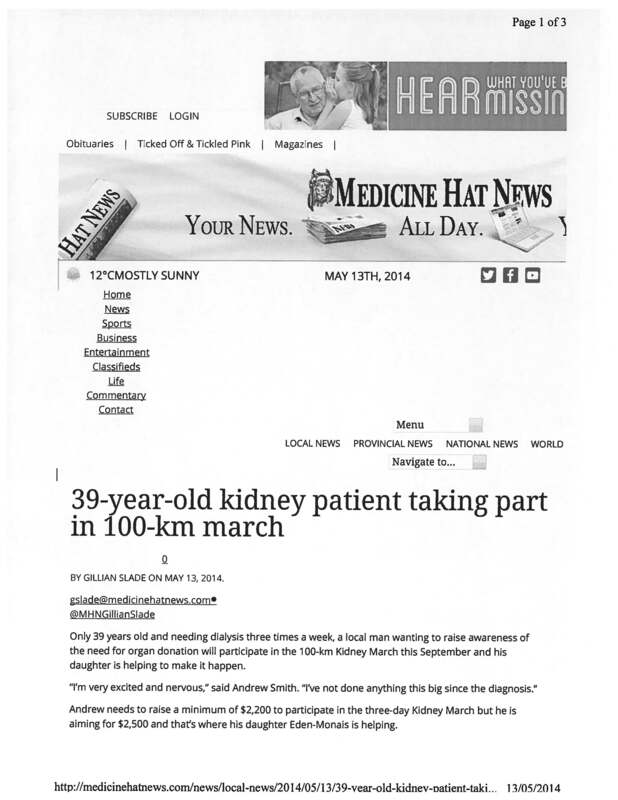 For the full release, read Kidney March. 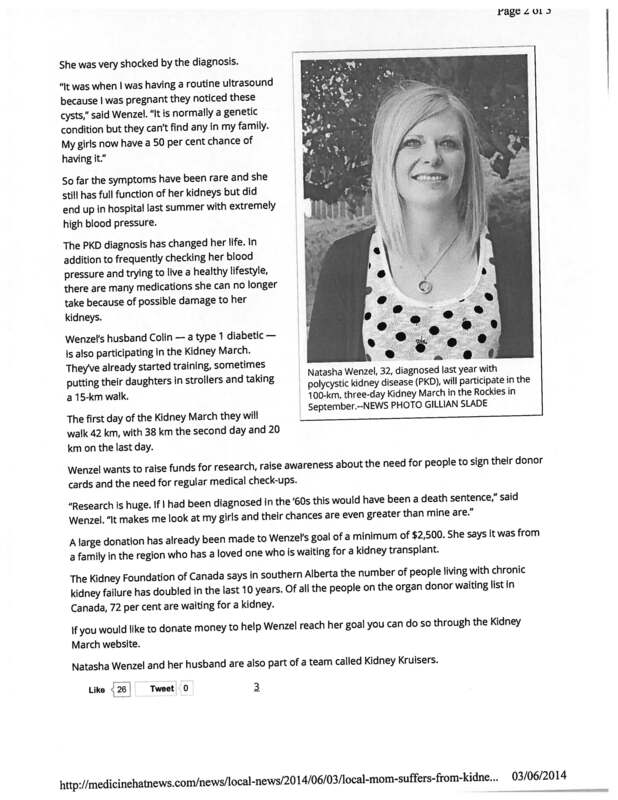 100 days. 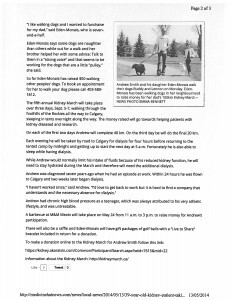 Event Announcement. 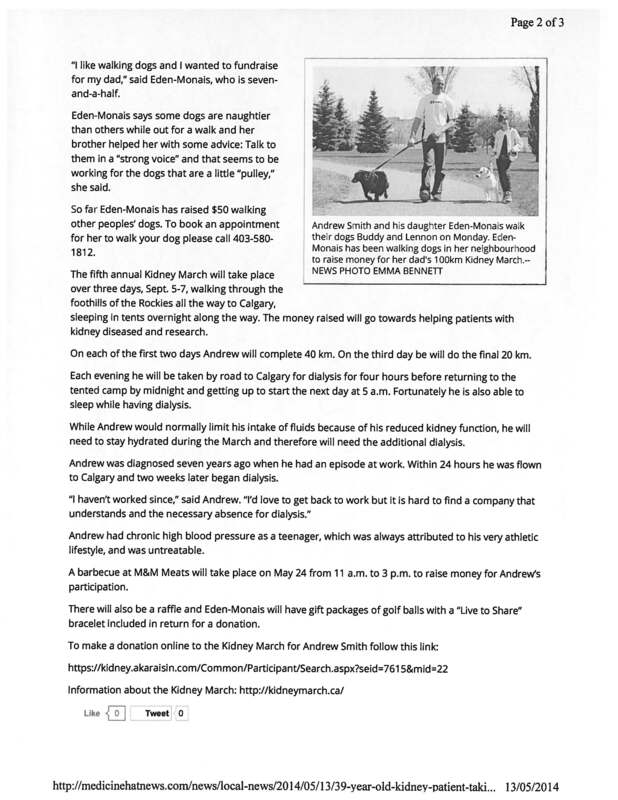 Andrew, taking part in Kidney March while balancing it with dialysis, raises funds with the help of his daughter. 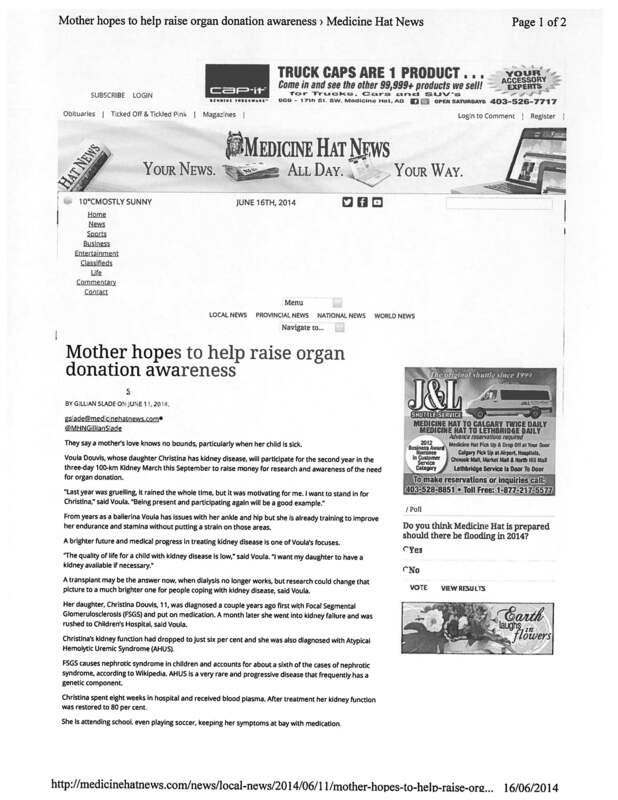 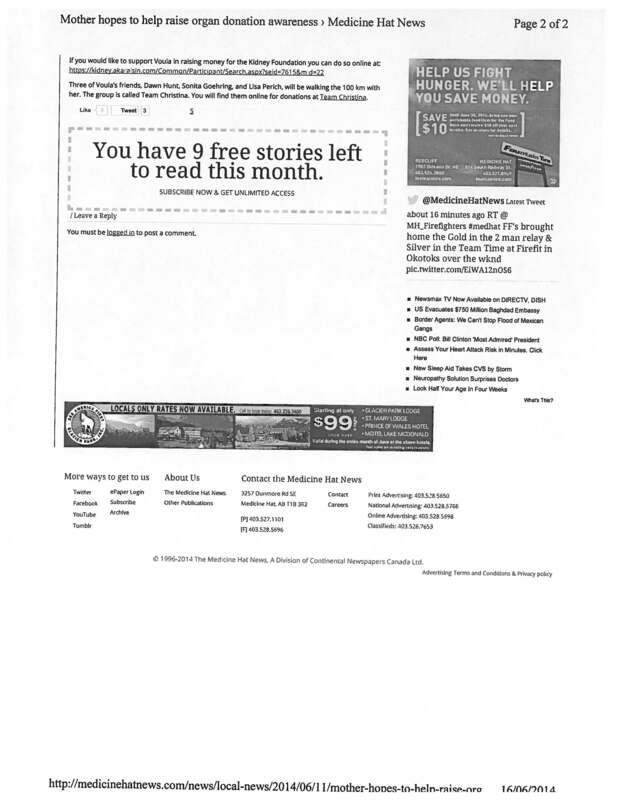 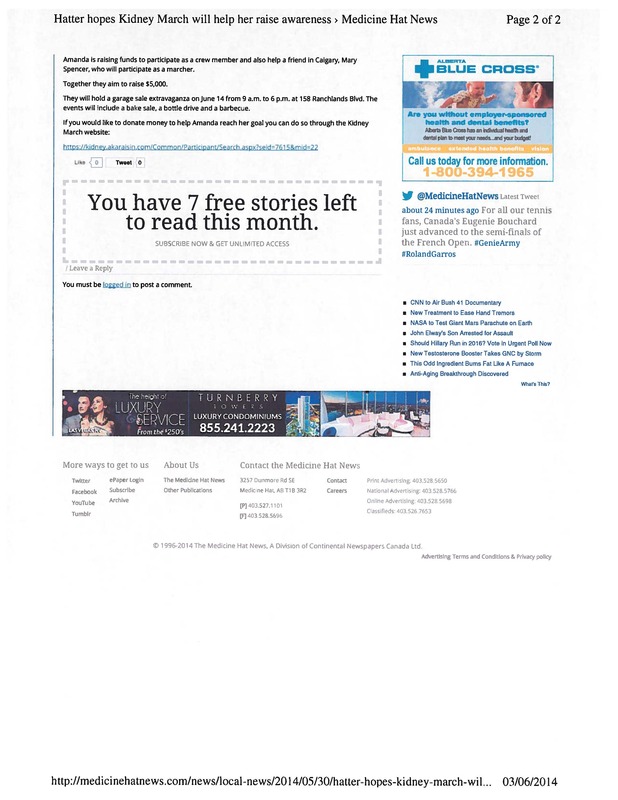 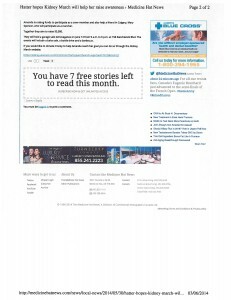 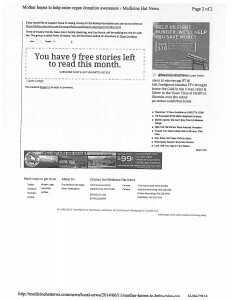 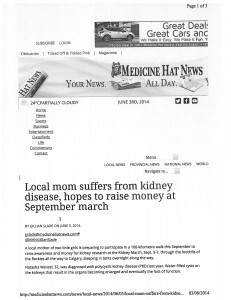 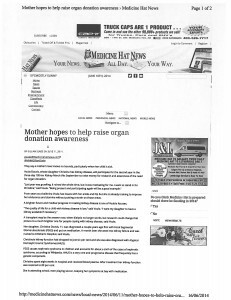 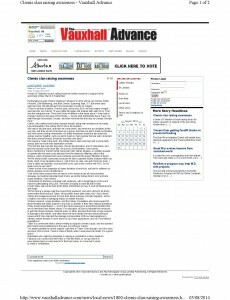 Medicine Hat News, May 13, 2014.